L-R, Assistant CSR Manager, Airtel Nigeria, Chioma Okolie; member, Nigerian Dental Association (NDA), Dr. Badejo Inotu; Education Secretary, Ijebu-North Local Government Education Authority, Mrs. Mistura Balogun and Head Teacher, St. John’s Pry. Sch., Mrs. Okubanjo Adesola while observing the school students during the oral health programme sponsored by Airtel and Unilever Nigeria in partnership with NDA, held in Ijebu-Igbo, Ogun State on Tuesday. 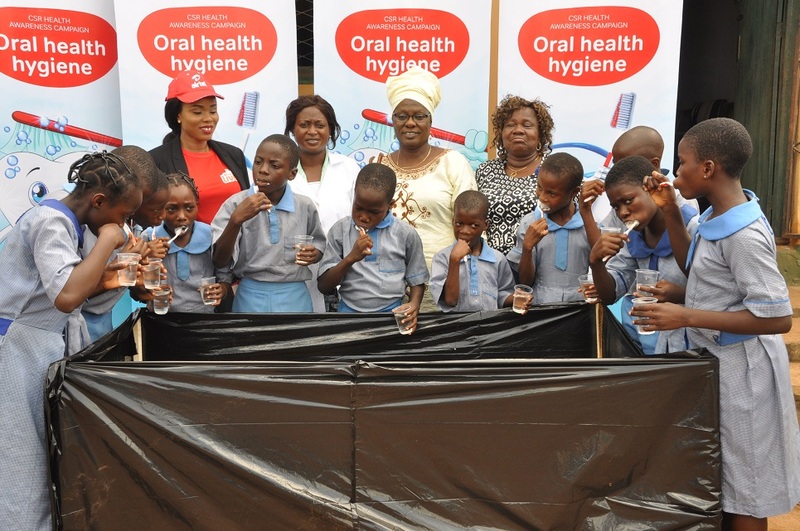 Filled with confidence and joy after receiving vital tips on oral hygiene, students of St. John’s Primary School in Ijebu-Igbo, Ogun State, have showered praises on leading telecoms operator, Airtel Nigeria and manufacturer of home and personal care goods, Unilever, for bringing the health programme to the school. The Ogun State leg of the oral health programme which held on Tuesday, November 10, this month received a warm welcome from the school students, teachers and the local government.